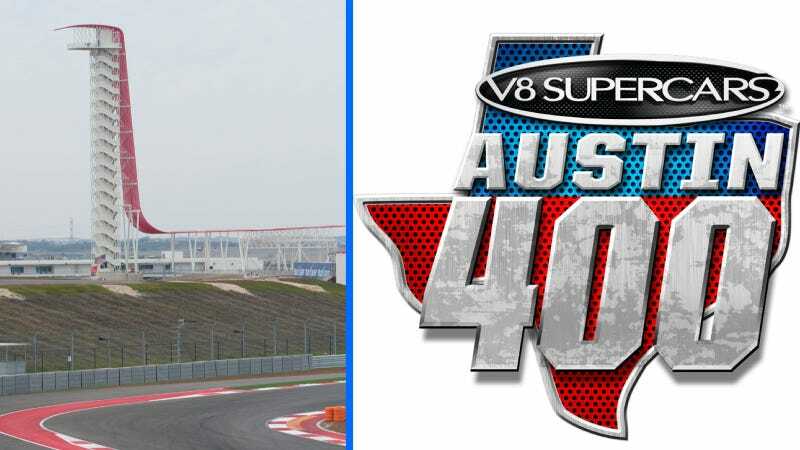 Oh man, who's excited for Aussie V8 Supercars to come to the Circuit of the Americas down in Texas? I know I am, and now the race has an official name: the Austin 400, which will run on a shortened 2.3-mile section of the track in just two months. The track will play host to two races on Saturday and Sunday the weekend of May 17, with qualifying sessions each morning, reports the Austin American-Statesman. This year's iteration of what the paper awesomely calls "Australian Rules NASCAR" will be especially interesting because it's not just a contest between Holden and Ford anymore: now, we'll see a Mercedes-Benz E63 AMG and what is probably the meanest, fastest car ever to wear a Nissan Altima badge running in it as well. “The V8s are running the short circuit and that is somewhat unknown… but I think it might be the better choice. It is going to be very technical,” Ambrose said. “The first corner will be interesting. I was so, so afraid of a crisis situation at the start of the Formula 1 race but I guess they took care of each other and got through it. All in all, I think us Americans will be in for a great race come May. Anyone planning on going to this?